The transition from high school to college can be exciting and empowering when navigated through a Jewish lens and through the framework of Jewish life on campus! Students from across San Diego will connect and explore their potential for Jewish collaboration and expression in college at 8 sessions led by UC San Diego Hillel staff and campus guests. 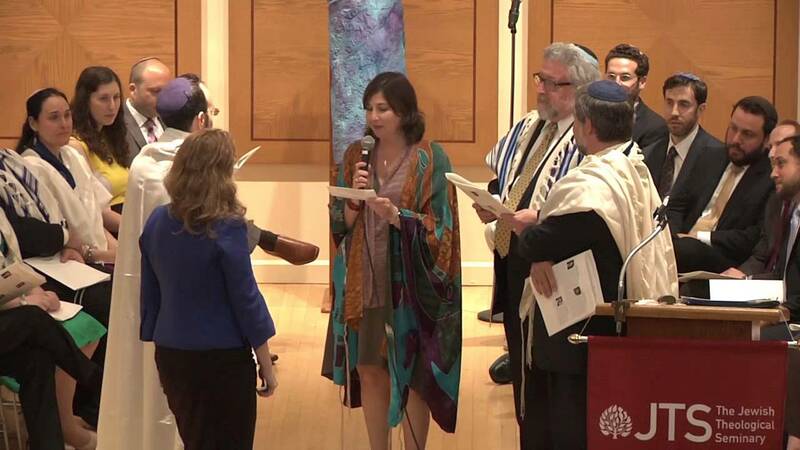 Ner Tamid Synagogue plays a vital role in energizing Jewish involvement overall within our local San Diego community and connecting us to Torah and to our people in a larger Jewish context. We are active in the progressive and mainstream Conservative Jewish movement. Explore some of the outstanding Jewish resources available to you here in San Diego and beyond. These are resources that our members find most important and useful to them. At the US Conservative Judaism resource center, "We envision and pursue an authentic and dynamic Judaism that inspires today’s and tomorrow’s generation of Jews to seek meaning, find connection, and experience wholeness in a world that is complex and ever evolving." "Using kehilla/kehillot to describe Jewish community(ies) inside and outside the walls of a synagogue. Per USCJ's Strategic Plan, "it focuses on the raison d’être of a congregation, that it is a sacred community. Second, it signals a welcome to those who resonate with the ideas of Conservative Judaism" whether directly affiliated or not with the conservative movement label. "JTS is a preeminent institution of Jewish higher education, training thoughtful, innovative leaders—rabbis, cantors, educators, lay leaders, and scholars—who strengthen our communities with a vision of Judaism that is deeply grounded in the Jewish past and thoroughly engaged with contemporary society. JTS also provides high-caliber lifelong learning and professional development to our alumni, adult learners, and Jewish communities throughout North America." "USY is USCJ’s youth movement for Conservative Jewish teens across North America. For more than 60 years, USY has taught young Jews the values and skills they need to become exceptional leaders in their religious and secular communities." The ability to make Jewish decisions in the real world"
"The mission of the Ramah Camping Movement is to create and sustain excellent summer camps and Israel programs that inspire commitment to Jewish life, and develop the next generation of Jewish leaders. Ramah is the camping arm of Conservative Judaism. The mission of the Ramah Camping Movement is to create and sustain excellent summer camps and Israel programs that inspire commitment to Jewish life, and develop the next generation of Jewish leaders. At Ramah, thousands of children, teens, and young adults come together each summer in communities that nurture social, educational, physical, and spiritual growth, creating lifelong friendships, a love for Israel, and a strong Jewish identity." • Fosters a strong sense of responsibility, self-reliance, independence, and self-worth. • Unique outdoor experiences instill a passion for our natural environment. • Cultivates meaningful Jewish experiences and nourishes a strong affection to the land, people and culture of Israel. • Year-round opportunities to strengthen and develop interpersonal relationships. consists of 8-16 campers, staffed by at least two college-aged counselors. "Hillel of San Diego encourages students of all backgrounds to form deep, personal connections to Jewish life, learning and Israel, through Jewish exploration, leadership, and a sense of belonging. We provide opportunities for students to build lifelong connections – to their Jewish life, to each other, and to Jewish communities worldwide. Our three programs – Hillel at UCSD, Hillel at SDSU, and North County Hillel – each take a unique approach to a common goal of inspiring and enabling young Jews to find their place in the world." Birthright Israel (also known as Taglit) provides totally free and guided trips to Israel for Jewish youth. Did you know that one two week trip to Israel has been known to dramatically increase the Jewish marriage and on-going Jewish involvement, both in Israel and America? "Birthright Israel seeks to ensure the future of the Jewish people by strengthening Jewish identity, Jewish communities, and connection with Israel via a trip to Israel for the majority of Jewish young adults from around the world. Our hope is that our trips motivate young people to continue to explore their Jewish identity and support for Israel and maintain long-lasting connections with the Israelis they meet on their trip. We encourage our alumni to take active roles in Jewish organizations and to participate in follow-up activities worldwide." "Today’s Federation, known as the Jewish Federation of San Diego County, is part of the Jewish Federations of North America (JFNA), which brings together 151 Federations across North America. San Diego’s Federation plays a central role in serving and convening the county’s diverse Jewish communities and agencies, providing opportunities for Jews of all ages to connect with their heritage, help each other and the State of Israel, and ensure San Diego’s Jewish future." This website has an immense selection of local Jewish resources. Are you, a family member or friend needing guidance and support? Often we find the most comfort and support, as well as readiness to get the assistance we need, when we find it within our community. Within Jewish Family Service, there is a unique program called "Girls Give Back." Our Ner Tamid members have found this program particularly beneficial and are very active in it. We highly recommend it for your teenage girls. "Girls Give Back empowers high school girls, grades 9-12, to create meaningful change in the world around them. Teens will learn about issues that impact women and girls, meet with local leaders and develop leadership skills by planning and implementing service projects." The Jewish Community Foundation of San Diego supports philanthropic tax-deductible giving programs during life and as legacy donations. You can customize your charitable giving both in and outside the San Diego community, geared to your interests and where you desire to have the greatest impact. Many members donate to Ner Tamid through directed JCF gifting. "The mission of the San Diego Center for Jewish Culture is to offer an array of entertaining and enriching cultural, educational and artistic programming which brings the community together to connect with Jewish heritage, identity, experiences and values. CJC is committed to providing a welcoming and inclusive environment for San Diego's entire community." "Hadassah connects Jewish women and empowers them to effect change through advocacy, advancing health and well-being, and support of Israel. Our members, from every congressional district in the nation, are activists, fundraisers and visionaries. They don’t just talk. Hadassah women DO." "The San Diego Jewish Journal is the pioneer Jewish lifestyles magazine on the West Coast ... with the vision of a Jewish magazine that spoke to Jews of all movements and traditions. The Journal ... reaches more than 14,000 Jewish households throughout San Diego, Palm Springs and Temecula Valley." Understand your future by discovering your past and our common, shared ancestry at the San Diego Jewish Genealogical Society.